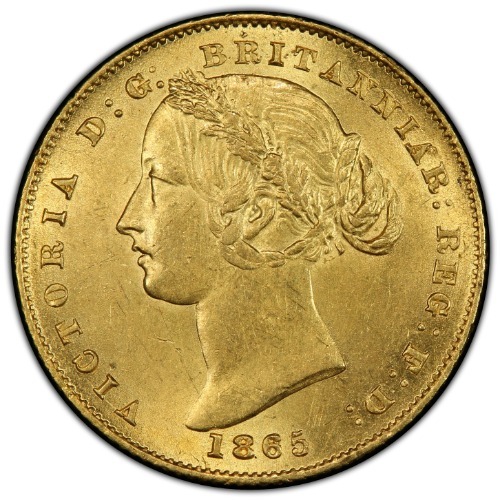 Victoria gold Sovereign 1865-SYDNEY MS62 PCGS, Sydney mint, KM4. A yellow golden example that has pleasing luster. 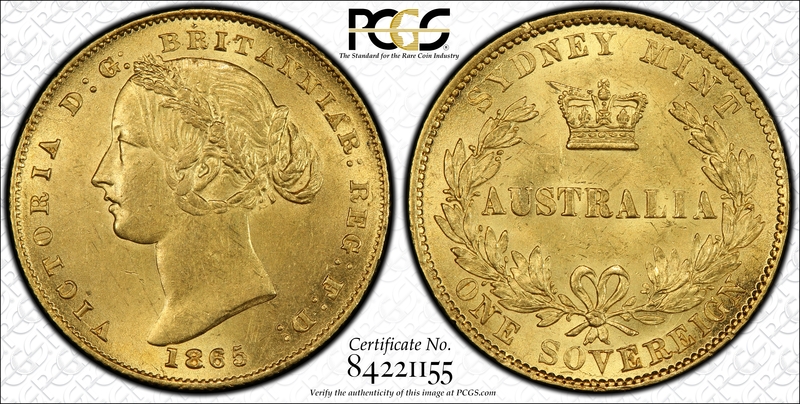 Very seldom encountered in this Mint State grade, with no examples graded finer at PCGS and NGC combined.